Our nutrition challenge has come to an end – just in time for the holidays! Congratulations to all who kept consistent for the past month. We’ve shared some beautiful photos and learned a few new exciting recipes too. Hopefully, the experience has helped to develop some new positive habits and create awareness of daily food choices. Prize winners will be announced next week – so hang on in suspense until then! Remember, Healthy Habits 101 is a great way to stay on track through the party season. Learn the fundamentals of proper nutrition and lifestyle management to kick off 2014 in the right direction. For the next week, until December 14th, Licious Living is offering an incredible price on their premium Meal Delivery plan, known as Personal Chef. 2 meals per day starts at $32. Compare that to a restaurant quality meal, tailored to your goals, and delivered directly to your door. 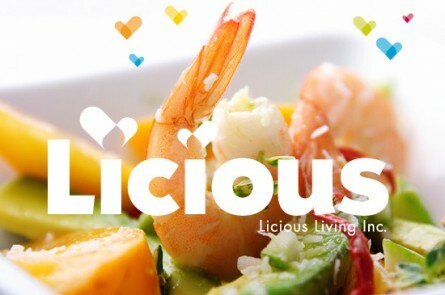 The Personal Chef plan through Licious Living is like having a Personal Trainer, for your kitchen. This is one way to quickly take your game to the next level. Find out more through the the Front Desk by phone 604-568-6006, by email schedule@kalevfitness.com or by chatting with one of the trainers.